If deleting or altering items on your PO changes the preferred sorting order then there is an option in the Setup Wizard to turn on PO sorting by part number as shown in Figure 1. 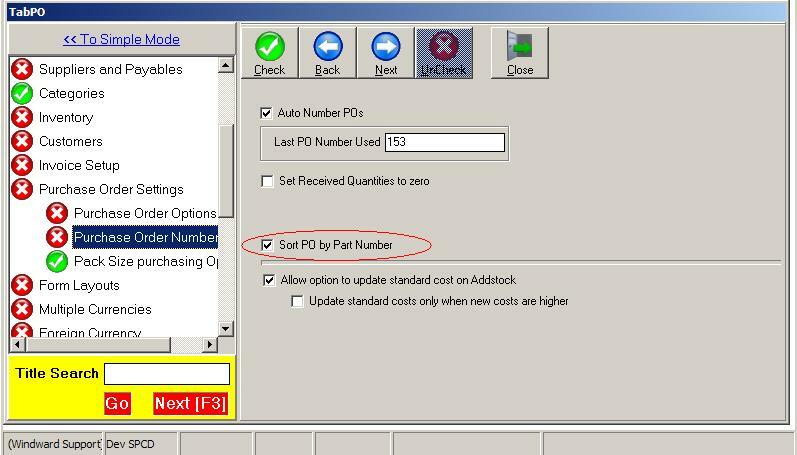 Ensure the checkbox indicated in Figure 1 is cleared to stop the auto sort of PO by part number. Figure 1 - Sorting PO by Partnumber setting.